Home Travel A guide to your perfect suitcase! It’s that time of year again – the summer holidays are well underway and everybody in the Philip Morris office seems to be jetting off to sunnier climes for a well-deserved break. So it’s the perfect time to talk suitcases! Gone are the days of leather cases, as luggage brands such as Antler and Carlton are constantly updating their designs to incorporate the new technologies that are being introduced to the market. However this means that choosing the perfect case for your needs is becoming harder and harder, as the selection available is just so vast. Hopefully this is where we can help you! We’ve split our best-selling cases into three different sections – Value for money, lightweight and those that will stand out on the luggage carousel – so you can choose a case to fit your specific requirements. Therefore, whatever occasion you need the suitcase for, hopefully we’ve got just the case you need! 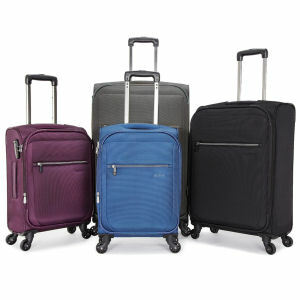 If you are looking for a good all-rounder at a reasonable price, then these roller cases are for you. First up we have the Cyberlite from Antler, which has been a consistent bestseller since its launch in 2011. 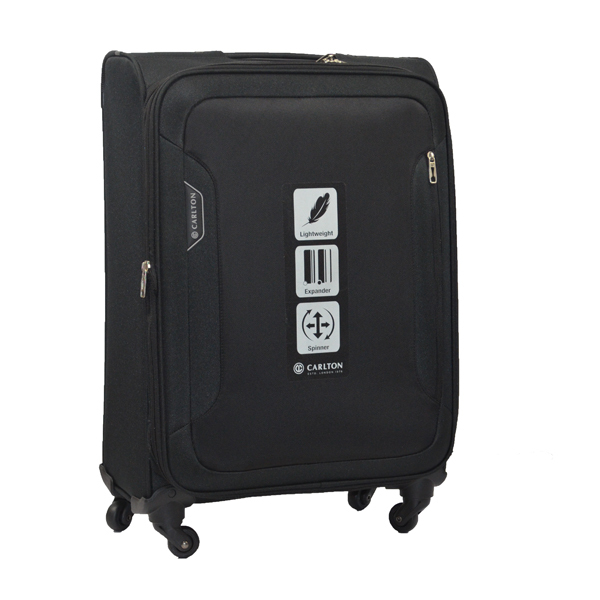 It is a versatile soft case that balances the two most important features in modern luggage – weight and space. It has expandable sides so you can squeeze in more clothing if you’re prone to over packing, and has numerous pockets you can use to store your valuables. Plus, as an added bonus , we currently have a sale on our black cases so they’re even more of a bargain at the moment! Next up is the Nexus, from Antler’s sister brand Revelation. A supremely sturdy and practical bag, the cabin case is perfect for long weekends away as it is the perfect combination of being small enough to use as hand luggage for most airlines (although we recommend that you double check this with your airline prior to your flight, just in case!) but still has a packing capacity of up to 37 litres. Additionally, if you would like something different from the classic black bag, it also comes in a gorgeous Peacock Blue or Purple. Finally in our value for money section is the Carlton Aspire. Although available at a supremely reasonable price (plus free UK mainland delivery!) the Aspire does not scrimp on added features. It benefits from (take a deep breath!) 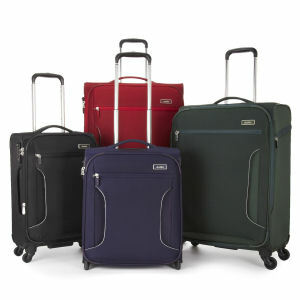 four ‘touch n go’ spinning wheels, fixed dial combination lock, a side opening front pocket, a lockdown push button telescopic tow handle, a fully lined interior, a mesh lid pocket and finally integrated luggage straps. All in all, a perfect budget case. If (like me!) you always need just one more pair of shoes, then these lightweight bags will help to keep you within your baggage limits. The Weightless is Revelation’s lightest ever suitcase collection (the large bag weighs 2.4kg, the medium just 2.1kg and the cabin a meagre 1.7kg). However, nothing has been compromised in construction as these rollercases still include all of the design features you would expect from a modern case, including an easy slide aluminium push button handle and plentiful pockets for all of your belongings. Plus, as an amazing finishing touch all but the Blue Circle cases feature a beautiful geometric patterned lining that is bound to wow! An amazing selection of the colours available! Then we move onto the Liquis Embossed hardcase from Antler. The large case is just 3.7kg thanks to the rugged yet feather light poly-carbonate shell, so if you’re looking for a lightweight case that can take the knocks and bumps of an over enthusiastic baggage handler then this is the perfect case for you. This material can also be moulded into innovative designs such as this beautiful snake-like texture. To complete the lightweight section we have another case from Great British brand Antler. This time it is a softcase called the Marcus which ranges from 3.4kg for the large down to just 2.6kg for the cabin case. A stylish and sophisticated range, it is the perfect choice to take you from work to play. Like the Cyberlite it has an expandable compartment (the large will expand up to a maximum packing capacity of 124 litres) and four fully rotating wheels for effortless manoeuvrability wherever you take it in the world. Last but definitely not least are the eye catching designs that are guaranteed to be the envy wherever they are wheeled! The Elara is brand new to Antler’s collection, as it only became available to own at the end of July. When it was launched back in May this year the fashion press went wild about its innovative new design (the News Editor of vogue.com even went as far as to say that it ‘would undoubtedly usher in a new era of Antler fans’). It is an indulgent case whose ombre embossed Edwardian print outer combines the brand’s 100 year old history, modern hi-tech manufacturing plus oodles of useful features! Next week have Antler’s super strong Juno range. 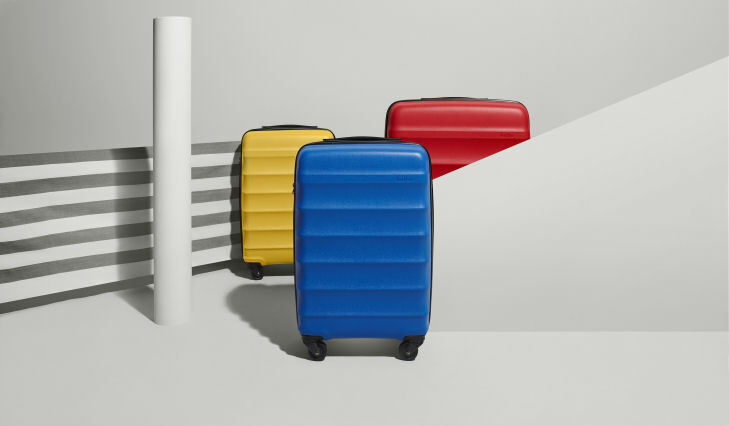 This hardcase includes all of the features many people have come to expect in a luggage range (including a fixed TSA approved combination lock that simplifies any American travel) but has uniquely a striking appearance. The beautiful ridges and curves in its design, combined with the bright primary available, definitely ensure that the Juno has a wow factor. 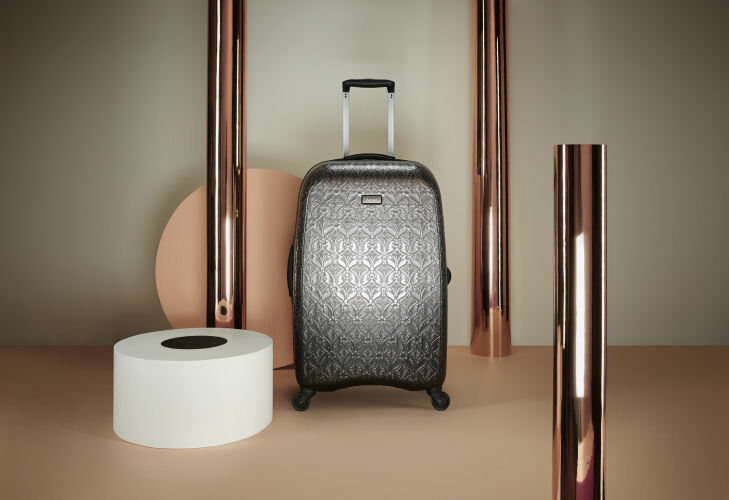 Plus, if you need more convincing that the Juno is the case for you, unlike most modern luggage it comes in a textured matt finish which is perfect to help disguise the inevitable scratches! The last piece that we think is guaranteed to make you stand out is the Antler Camden. Its makers are based in London, and they have taken their inspiration from the fashion conscious Camden town for this case. 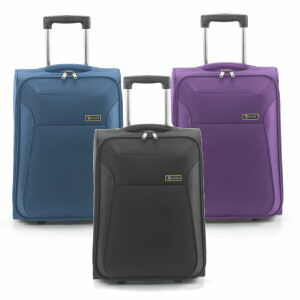 It has quirky, almost quilted look shell with comfy grip handles and four smooth-glide wheels. As an added bonus, the shocking pink cabin case is currently on offer, but we have limited stock so once it’s gone, it’s gone! If you haven’t found your perfect case in this list then fear not. It might instead be lurking in our luggage department, so why not click here and have a look! 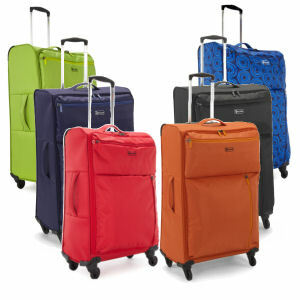 Antler Camden, Antler Cyberlite, Antler Elara, Antler Juno, Antler Liquis Embossed, Antler Luggage, Antler Marcus, cabin luggage, Carlton Aspire, Carlton Luggage, Revelation Luggage, Revelation Nexus, Revelation Weightless, Reviews, suitcases. Bookmark.